Marijuana edibles have been around for a long time. They have never really waned in popularity, due to the many benefits of edibles. They are a simple way to consume marijuana and give you all of the goodness that the plant provides. Buying versus making marijuana edibles depends on different variables. However, one of the benefits of edibles is that you can do both. The most well-known form of edibles is in baked goods. So if there are cakes that you particularly enjoy eating, it can be easy to add some cannabis to them in the form of cannabis butter. Yet if you are not great in the kitchen, you can always buy premade edibles. At dispensaries and online stores, you will frequently find cookies or brownies for sale, which can be delivered to you in little time. There are also many other product types, including gummies, hard candies, chocolate bars, rice crispy squares, and teas. If you are a fan of THC-led cannabis, then edibles are a great way to get a stronger high. The way the chemicals are converted in your digestive system leads to a more pronounced buzz than through smoking or vaping. 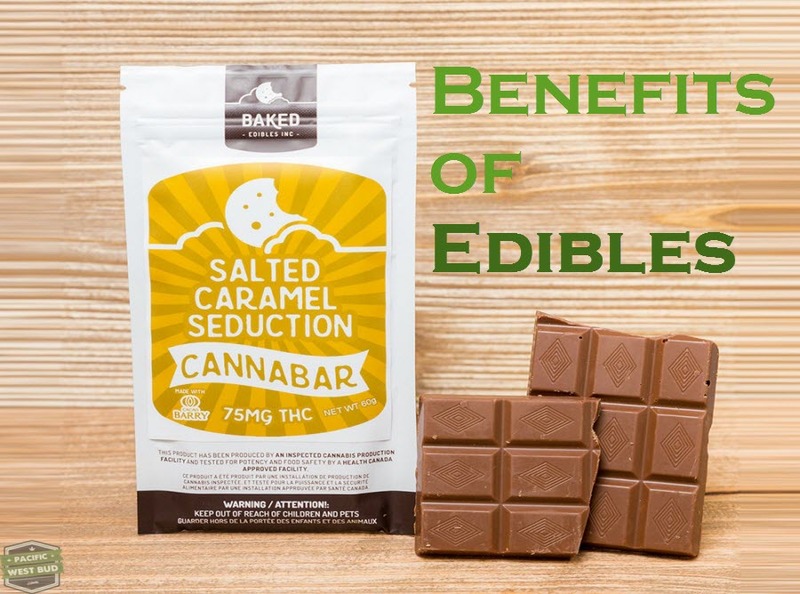 This is one of the many benefits of edibles and makes them a popular choice for groups looking to consume marijuana together. The relaxing feeling you get from consuming marijuana lasts a lot longer when you take it through edibles. The benefits of edibles being longer lasting is that you do not need to top up to prolong this effect. This will save you money in the long run and prevent you from having to smoke more, which may have undesirable side effects for certain people. Another benefit of edibles is that it is a very discreet way to take cannabis. With smoking and vaping, the smell is a dead giveaway. With edibles, it will look like you are eating normal food. If you are in a situation where you need to take marijuana, say for its medicinal benefits, but do not want others in the vicinity to know, edibles are the ideal way to do this. At Pacific West Bud, we are big believers in the benefits of edibles and encourage them as an alternative to smoking or vaping marijuana. For more information on the benefits of edibles and cannabis in general, check out our website, or speak to one of our team members today. We are a one stop shop for everything you need to know when it comes to cannabis-based products.